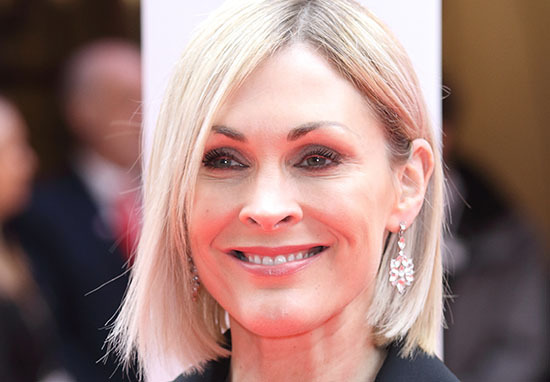 Jenni Falconer has shared the painful effects of Raynaud’s phenomenon with fans on social media. The TV and radio presenter posted a picture of her hand to her personal Instagram account, showing the effects of the condition in cold weather. 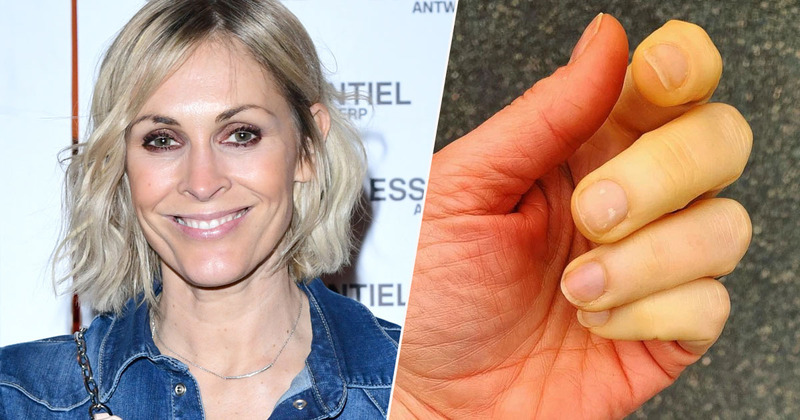 Having previously spoken about Raynaud’s with fans, Jenni didn’t hold back and posted the agonising looking picture earlier this morning (April 2), to raise awareness about the condition. The picture, posted by the 43-year-old, shows her hand in the forefront while her running leggings and trainers can be seen in the background. Yesterday it was perfect; a relatively warm, sunny day with little breeze. Today in comparison is so cold and damp that it literally chills my bones. If you suffer from Raynaud’s Phenomenon, then this sight will be something you might totally relate to…..
Rather than her hand being the same colour everywhere, her fingers are shockingly white in comparison to the rest of her hand due to poor circulation. Bring back the warm sunshine…. 🙏🏻☀️🧤 #raynauds #poorcirculation • • Yesterday it was perfect; a relatively warm, sunny day wIth little breeze. Today in comparison is so cold and damp that it literally chills my bones. If you suffer from Raynaud’s Phenomenon, then this sight will be something you might totally relate to….. According to the NHS, Raynaud’s is a common condition which doesn’t usually cause any severe problems. It can be treated by keeping yourself warm. As well as this discolouration, other symptoms include pain, numbness, pins and needles, and difficulty moving the affected area. Jenni has previously been open about her Raynaud’s, having shared another photo with fans on social media last year. In the picture, one finger could be seen looking extremely white in comparison to the others. The TV presenter has also spoken about her condition in an interview with the Mirror, saying she’s suffered from it since she was 17. Since then, the condition has worsened. I get it in all my fingers and toes and an attack can last up to 30 minutes. When life returns to the affected part of my body, it’s like being poked with cocktail sticks – a severe case of pins and needles. A burning sensation adds to the pain, too. Hopefully Raynaud’s doesn’t impact the presenter’s life too much, and hats off to her for raising awareness about the condition.